EDITOR’S NOTE: ’Cosmotheism’ is the name given by the late Dr. William Pierce to his philosophy of life — his religion, if you will — which embodied for him the fundamental truths about the nature of the Universe and our purpose in it. By the standards of a more childish and innocent time, Dr. Pierce might be adjudged an atheist, and by those who call themselves ‘atheists’ today — the narrow egoists of the Rand cult and its derivatives, and the sentimental Christians-without-Christ who constitute the ‘Secular Humanist’ and Marxian reformations of the gospel — he could not even be understood, so limited is their vision. Dr. Pierce’s Cosmotheism is not a ‘revealed’ religion, but is instead what he called a natural religion, in that it rejects all of the claimed supernatural and unverifiable communications between a putative deity and man which find their way onto shining golden plates or ancient scrolls, instead having its basis in the realities of Nature that our eyes — and the investigations of science — have confirmed. In the drama of the evolution of life from non-living matter, and of higher and more conscious beings from lower forms of life, William Pierce sees a path of purpose and destiny for us. The Path is the first of Dr. Pierce’s three great essays on Cosmotheism, all of which will be presented on National Vanguard. Dr. Pierce wrote these pieces — expressing what he saw as his most profound insights into the nature of reality — in somewhat poetic language. The more rational-minded among us, who disdain the flowery phrases of the preacher or the mystic, must not be put off by that. Dr. Pierce, that supremely rational of men, the physicist, the teacher of hard truths, was trying to reach us at two levels simultaneously, I think: the level of our reason, where Spencer and Aristotle reach us, and the level of our instincts or soul, where Wagner and Mozart touch us and Apollo and Zarathustra dwell. — Kevin Alfred Strom. LIFE IS SHORT, our brothers and sisters. Must it also be empty? Must it also be bitter? Must its passing hold terror? Where is fulfillment to be found in the midst of shallow and empty things? Where is peace to be found in the midst of chaos and strife? Where is serenity to be obtained in a spiritual wasteland? Seek no more, our brothers and sisters, for we give you these answers, and more. We show you the meaning and the purpose of things. We lead you from confusion and uncertainty to knowledge; from weakness to strength; from frustrated desire to fulfillment. We lead you to the Path of Life. We bring your souls into harmony, with the Spirit of All Things. We give you the Truth, which is this: There is but one Reality, and that Reality is the Whole. It is the Creator, the Self-Created. The meaning of the Truth is this: Man, the world, and the Creator are not separate things, but man is a part of the world, which is a part of the Whole, which is the Creator. The tangible Universe is the material manifestation of the Creator. All the blazing suns of the firmament; the formless gas between the stars; the silent, frozen mountain peaks of the moon; the rustling trees of earthly forests; the teeming creatures of the dark ocean depths; and man are parts of the Creator’s material manifestation. But the Creator has a spiritual manifestation, which is the Urge toward the One Purpose. The Urge lies at the root of all things and is manifested in the relations between all things. The Urge is in the tenuous gases of the void, for they have a purpose, which are the flaming suns and all the planets, which form from them. The Urge is in the earth, for it has a purpose, which is the realm of plants and animals which flourish on it. And the Urge is in man, for he has a purpose, which is higher man. And the purposes of all these things are steps on the Path of Life, which leads to the One Purpose, which is the Self-realization of the Creator: the Self-completion of the Self-created. And the matter and the spirit, the Universe and the Urge, are One, and it is the Whole. Man is of the Whole, and his purpose is the Creator’s Purpose. And this signifies: Man is, in part, both the substance and the means of the Creator, and he is nothing else; this is his entire being and purpose. And man serves the Creator’s Purpose in two ways. The first way is the way of all the other parts of the Whole; it is the way of sub-man; it is the blind way; it is the way of the deeply in-dwelling consciousness, the immanent consciousness; it is the way of instinct. The second way is the way of higher man; it is the sighted way; it is the way of the awakened consciousness and of true reason; which is to say, it is the way of the perfect union of the immanent consciousness with man’s reason, which perfect union we call Divine Consciousness. The meaning of the first way is this: The Purpose of the Creator is Self-completion; the Path of the Creator toward Self-completion is the Path of Life; and man is a step on this Path. The Creator existed before man, and the Creator will exist after man has surpassed himself. The step on the Path before man was sub-man, and the step on the Path after man is higher man. But man is now, for a time, a part of the Creator, of the ever-changing, ever-evolving Whole. There is a threshold on the Path at the step, which is man. It is the threshold of Divine Consciousness. Before man, each part of the Whole was blind, and it could not see the next step on the Path. The gases of the void could not foresee the suns which they were to become, nor could sub-man foresee man. The Urge carried the Whole along the Path, and each part of the Whole, though blind, served the Creator’s Purpose. And the meaning of the second way in which man serves the Creator’s Purpose is this: The evolution of the Whole toward Self-completion is an evolution in spirit as well as in matter. Self-completion, which is Self-realization, is the attainment of perfect Self-consciousness. The Creator’s Urge, which is immanent in the Universe, evolves toward an all-seeing Consciousness. Man stands between sub-man and higher man, between immanent consciousness and awakened consciousness, between unawareness of his identity and his mission and a state of Divine Consciousness. Some men will cross the threshold, and some will not. Those who attain Divine Consciousness will ascend the Path of Life toward their Destiny, which is Godhood; which is to say, the Path of Life leads upward through a never-ending succession of states, the next of which is that of higher man, and the ultimate that of the Self-realized Creator. True reason will illuminate the Path for them and give them foresight; it will be a mighty aid to the Creator’s Urge within them. And those who do not attain Divine Consciousness will continue groping in the darkness, and their feet will be tripped by the snares of false reason, and they will stumble from the Path, and they will fall into the depths. For the threshold at which man stands is a dangerous threshold, a difficult threshold. And man’s reason is a dangerous achievement. Just as it can give eyes to his instinct, which is the immanent consciousness of the Whole acting in him, so it can confuse and mislead his instinct. And let us now understand the present state of man, so that we can distinguish true reason from false reason. Let us employ true reason, so that it can guide us across the threshold of Divine Consciousness. The difference between true reason and false reason is this: True reason seeks to guide man’s actions in accord with the immanent consciousness of the Whole, while false reason does not. The man or woman of true reason seeks order in all things, and he shuns chaos. He is pleased by a harmonious relationship between all the elements of his life and the world. He rejects that which clashes and does not fit, that which is alien. He is happy in the knowledge that what was true and good yesterday will be true and good tomorrow. Through order and harmony, he seeks true progress, which is the ascent of the Path of Life; but he shuns frivolous change, which destroys the harmony between the past and the future. He loves truth, and he hates falsehood. He loves beauty, and he hates ugliness. He loves nobility in all things, and he hates baseness. And all these predispositions of the man or woman of true reason are like rays thrown out by the Divine Spark which burns in his soul. And this Divine Spark is the immanent consciousness of the Whole. It is the presence of the Creator’s Urge in him. The Divine Spark burns brightly in some men, and their reason is true. It burns less brightly in others, and in them true reason may give way to false reason. For the Urge is in all things, but the state of consciousness of the Whole is more highly evolved in some things than in others. It is more highly evolved in living things than in non-living things; in man than in other animals; and in some men than in other men. There exists in the various living creatures a continuous hierarchy of states of the immanent consciousness of the Whole. In the best of times men and women of true reason prevail, and there is true progress. But in the worst of times false reason overcomes true reason. Then the self-seekers, the liars, and those of base motives prevail. And then all the other evils come forth: Falsehood overcomes truth and is held up in the place of truth. Ugliness replaces beauty and is preferred over beauty. Baseness is everywhere and is praised as nobility. Disharmony rules all men’s lives, and those of true reason are frustrated in their desires. Lies are heard everywhere, and no one has the power to speak against them. Evil deeds are seen everywhere, and no one can act against them. All that is good, valuable, and progressive is pulled down and defiled. All that is alien and discordant grows and multiplies. There is no true reason or peace in the masses of men, and they are without direction or purpose. Then most men live from day to day, and their only thought is of themselves. Through idle amusements, through eating and drinking, through games and parties, through stupefying themselves with intoxicants, and through every other form of self-indulgence, they turn their thoughts away from the meaninglessness of their existence. Some men attempt to give directions to their lives, but they are false directions. Their purposes may be to accumulate wealth or to wield power over other men or to become skilled in some art or craft. But unless these purposes are related to the Creator’s Purpose they are without merit and the lives of those who pursue them are as without meaning as the lives of those with no purpose. For falsehood may often have the appearance of truth, but it remains false nevertheless. A man may pile up mountains of gold, or he may order nations to war, or he may acquire great knowledge or skill, but if he does not direct his life in accordance with the One Purpose, he may as well not have lived. Death comes to the man or woman without Divine Consciousness as it comes to the sub-man: living matter becomes non-living matter; meaningless life becomes meaningless death; the personality is annihilated. Eternal nothingness is the destiny of those who are spiritually empty. But he who has attained a state of Divine Consciousness partakes of the immortality of the Whole in the way of higher man: his body perishes, but his spirit remains with the Whole. He who is a member of the Community of Divine Consciousness is not annihilated by death, because his consciousness is one with that of the Community. So long as the Community lives, his consciousness lives; and so long as the Community serves the One True Purpose, he who served that Purpose before the perishing of his body serves it in eternity. The Community of Divine Consciousness is the Community of the Awakened, the Community of the Climbers of the Path, the Community of the People of the Rune of Life, the Community of the Ordained Ones. The gathering of those who would become members of the Community of Divine Consciousness is called the Cosmotheist Community; it is the Community of those who would become People of the Rune. And the People of the Rune are known by these four things: knowledge, consciousness, discipline, and service; they are the things for which the members of the Cosmotheist Community strive. By knowledge is meant understanding of the Truth. It is attained by the receptive learner through diligent study of the teachings of the Cosmotheist Community. By consciousness is meant the awakened state of those who have gone beyond knowledge and have partaken of the immanent consciousness of the Whole which resides in their innermost souls; they have understood the inner message and have seen that it is the same as the outer message, which is the message taught by the Cosmotheist Community. The attainment of consciousness, like knowledge, requires receptiveness and diligence, and it also requires good will, which is to say, a pure motive. Discipline comes from without and from within. From without it is imposed on the members of the Cosmotheist Community. By being so imposed it brings forth the growth of discipline from within. Without discipline, there is no mastery, and he who has not mastered the chaos of conflicting forces within himself cannot render full service. But discipline imposed and discipline which grows from within together give those who have attained knowledge and consciousness mastery over their own forces, so that those forces may serve the Creator’s Purpose. Service of the Creator’s Purpose is the purpose of all things, and the purpose of the Community of Divine Consciousness is service which is conscious and disciplined. In this dangerous and difficult era of the threshold between man and higher man, many men have ceased serving the Creator’s Purpose in the old way, which is the way of sub-man, the unconscious way, and they have not begun serving in the new way. False reason leads them instead into the grievous error of contravention of the Creator’s Purpose. But the members of the Community of Divine Consciousness, the Awakened Ones, the People of the Rune, serve in the new way, which is the way of higher man, the way of true reason. They are conscious agents of the Creator’s Purpose. And they are ordained to overcome the men of false reason and to put an end to the works of all those who contravene the Creator’s Purpose. They are the beginning; they are the first crossers of the threshold; they are the pointers of the way, of the Path of Life. Through their service, they resume the never-ending ascent toward their Destiny, which is Godhood. Abandon falsehood and folly. Cast off alien ways and free yourselves from the snares of false reason. Turn away from the corruption of this decaying order of things. Understand who you are and what your purpose is. Seek your Destiny. Put your life into the service of Cosmic Truth. Enter now into the Cosmotheist Community. Partake of our joyful certainty that the Creator’s Purpose will be fulfilled. Lay with us the foundations for the new order of things, which will rise in the place of the old. Cross with us the threshold of Divine Consciousness. Strive with us toward membership in the Community of the Awakened. EDITOR’S NOTE: On Living Things is the second essay, in a series of three, in which Dr. Pierce expresses the fundamentals of his philosophy, on which all of his political work was ultimately based. If you have not already done so, you should read The Path before reading On Living Things. In prior articles in the series ‘Intimations of Cosmotheism’ on National Vanguard, I have shown that other writers and thinkers, including Charles Lindbergh and Sir Oswald Mosley, have expressed ideas parallel to those which Dr. Pierce brought to their fullest expression. The third essay, On Society, will also be presented on National Vanguard. There is but one Reality, and that Reality is the Whole. It is the Creator, the Self-created. The material manifestation of the Creator is the tangible Universe, with all its non-living and living things, including man. The spiritual manifestation of the Creator is the Urge toward the One Purpose. The Urge lies at the root of all things and is manifested in the relations between all things. The One Purpose is the Self-Realization of the Creator: the Self-completion of the Self-created. Man’s purpose is the Creator’s Purpose. He is a part of both the substance and the means of the Creator, and he is nothing else; this is his entire being and purpose. 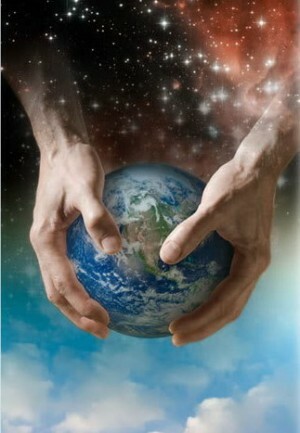 Man serves the Creator’s Purpose in two ways: unconsciously and consciously. In both ways, he follows the Path of Life, which is the Creator’s evolutionary Path toward Self-Completion. He passes from step to step on the Path, from sub-man to man to higher man, and beyond. In the unconscious way the passing is blind, an its driving force is instinct, which is a manifestation of the immanent consciousness of the Whole in man. And in the conscious way the passing is guided by man’s awareness of his true identity and his true mission; this awareness illuminates the Path before him and allows him to choose his steps. These things, which we know, lead us to an understanding of the significance and value of all living things: of the variety of animals, of the races of man, and the varying qualities of individual men. We understand that the living things developed from non-living things through the all-permeating Urge toward self-realization: first, there was the Urge, and through it came the ordering of non-living things; and the highest ordered became living. And the Urge has ordered the living things, and through this ordering has come higher levels of consciousness. And the Urge continues its ordering. All matter, living and non-living, is ordered in a hierarchy: animate above inanimate, conscious above unconscious. The Urge is toward higher consciousness; the purpose of all material things is the implementation of the Urge, the service of the One Purpose; and the value of each thing is its potential for serving the One purpose. Now, our understanding of this truth must serve as a guide to us in evaluating all things living and on-living, animate and inanimate, human and non-human. Some have taught falsely that all things, being of the Whole, are sacred and inviolable. They mean: sacred in the eyes of men; inviolable by men. They may be of good will, in wanting to restrain men from thoughtless destruction, in wanting to protect beautiful and noble living things, in wanting to preserve the harmony of the Universe. But their understanding is limited, and their teaching is contrary to the purpose of the Creator’s Purpose. For man is not a spectator, but a participant; not a being apart, but a part of all Being. And every living part of the Whole lives only by violating other parts; every animal must take unto itself other living things and must cast away its wastes. It is only the Whole which is inviolable, only the One Purpose that is sacred. The parts of the Whole come and go; they are subject to the eternal process of Creation, which annihilates some, preserves some, and transforms some. And higher man, Divinely Conscious man, is an agent as well as a subject of this process. When a member of the Community of Divine Consciousness acts in accord with the One Purpose, the Creator is acting. Others have taught falsely that man himself is sacred and inviolable; that all who are “men” are immune to the process of creation, that men stand aside from it and above it, and that all men are of one kind. But the value of man lies not in his conformation, nor in his ability to speak or to reason, except as these things aid him in serving the One Purpose. If he does not serve the Purpose, his life is without value, his formation and reason meaningless. If he contravenes the One Purpose, then he is an abomination, his life a defilement of all life. Thus are men ranked in value: First in value are those with Divine Consciousness; they are those who walk the Path of Life with sure foresight; they are those who have crossed the threshold from man to higher man; they are those who serve the Creator’s Purpose in full consciousness that they are of the Creator and in full knowledge of the way in which they serve; they are the Awakened Ones. Next in value are those of goodwill and awakening consciousness; they are those who strive for Divine Consciousness; they are those of the Cosmotheist Community. After them are all those of the stock from which the Awakened Ones arise, those of the same race-soul; for they collectively are the reservoir in which higher man has his origin and from which he draws his replacements. But in this reservoir men are also ranked in value: Those uncorrupted by false reason are higher, and those corrupted are lower. Those of goodwill are higher, and those indifferent, self-seeking, or serving alien masters are lower. Those who have mastered themselves are higher, and those who have not are lower. Those with great capability for knowledge are higher, and those with less capability are lower. Those who are of strong constitution and who are well formed are higher, and those who are weak, sickly, or ill formed are lower. And those men who, even though of the stock from which the Awakened Ones arise, are corrupted, of ill will, undisciplined, without the capability for knowledge, weak, or ill formed cannot claim value by reason of their stock alone. For they may threaten, through evil action, the One Purpose, if they are corrupted by false reason and of ill will. And they may also threaten, through weakening of the stock, the One Purpose, if they lack the capability for discipline or knowledge or are of poor constitution. And all other living things may also be ranked in value: men not of the stock from which the Awakened Ones arise; the beasts of the field, the birds of the air, the fishes of the sea; the smaller things which creep or crawl or fly; the large and small forms of inanimate life. Each living thing has a potential for good effect and for evil effect, for serving the Creator’s Purpose and for contravening it. This potential is both inherent in a thing and dependent on its relationships with other living things, and it determines the value of the thing. Let us now understand how this potential is judged: The Potential for good which is inherent in a thing is its potential for attaining Divine Consciousness or for giving rise to new things which may attain Divine Consciousness; its potential for good which is dependent on its relationships with other things is its potential for hindering the attaining of Divine Consciousness by other things. A thing’s potential for evil, which is dependent on the thing’s relations to other things is its potential for hindering the attaining of Divine Consciousness by other things. A thing may have a high potential for attaining Divine Consciousness, but it may also have a potential for hindering another living thing with a higher potential for attaining Divine Consciousness; or it may have a low potential for attaining Divine Consciousness, yet have a high potential for aiding another living thing in attaining Divine Consciousness. We can deem a thing good or evil only after we have weighed together its potential for both good and evil effect. For this weighing, we must have knowledge; for this reason does the Cosmotheist seek knowledge. It may provide physical sustenance, as the sheaf of grain or the steer provides bread or meat. Or it may sustain those things which provide sustenance, as the grass of the meadow nourishes the steer or the microbes of the soil allow the grain to grow. Or it may provide spiritual sustenance, as the trees of the forest, the flowers of the field, the strong and graceful beasts of prey provide beauty for the eye, instruction for the mind, and inspiration for the soul. It may weaken or destroy that stock physically, as the plague microbe or the debilitating parasite wreaks its havoc. Or it may deny that stock sustenance, as the swarm of locusts destroys the sustaining grain. Or it may corrupt that stock spiritually, as the stock of alien race soul spreads its spiritual poison. Or it may corrupt that stock through a mixing of bloods. The first two of these evil effects may come from things which have a low potential for attaining Divine Consciousness, but the latter two come only from things which are close in potential for attaining Divine Consciousness to the stock from which the Awakened Ones arise. The process of Creation is a process of developing self-consciousness in the Whole. Its way has progressed from blindness to foresightedness, from unguided groping to the threshold of consciously directed progress. Because its way has been a groping, bound in the fog of imperfect consciousness, Creation has followed many channels; the Urge has taken many directions. In some channels the current of progress has been slow, and in some it has been rapid. Some channels have ended in stagnant ponds, and the Urge has found no outlet. Some ponds have dried up altogether. In other channels the current has been rapid, but the course of the channel has gone askew: reason has developed without consciousness, strength without discipline, action without service for the One Purpose. Thus are we to understand the diversity of the forms of life. In one channel the current has been sufficiently rapid and the course sufficiently true that the stream of life has reached the edge of the fog. Beyond lies the open water in which distant goals can bee seen and a straight course chosen with foresight. But other currents also run near the edge of the fog, and the danger still exists of being swept into a false channel, of being carried back into the fog, of emptying into a stagnant pond. And the closer we are these false channels, the greater the danger. And so, then, those living things which provide necessary physical and spiritual sustenance for the stock from which arise the awakened ones are good and should be preserved: the grain and the steer, just as the living forest, the flowers of the field, the eagle and the leopard, and all other living things necessary to these. And those living things which weaken the stock from which the Awakened Ones arise, or deny it necessary sustenance, or pull down its potential for divine consciousness are evil, and measures must be taken against them; against the disease organisms which plague sustenance, against the lesser stocks which may mix or corrupt. And as the last of these evils is the greatest, so must the strongest measures be taken against it. Our stock has reached a threshold, which separates the unconscious way of progress from the conscious way, and the values of all things change when this threshold is crossed. In an age of immanent consciousness some living things served, through their very hostility, to advance our stock, as the wolf strengthens the stock of sheep by pruning away the slow and the infirm. In an age of awakened consciousness, these things cease to serve; our stock will prune itself, and the pruning will better serve the One Purpose, because it will be done with foresight. But at the threshold we must use the greatest care; its crossing is a time of danger, in which the old way no longer serves, and the new way still waits beyond the threshold. And these are the qualities which man shall value in himself, both higher man and the stock from which higher man arises. First, the brightness of the Divine Spark in his soul, which is the immanent consciousness of the Whole in him. The brighter it burns, the truer is a man’s inner sense of direction. Second, the strength of his reason, for the perfect union of reason with immanent consciousness is Divine Consciousness. The stronger is a man’s reason, the more effectively can he implement the Creator’s Urge and the more truly steer his life’s course in the direction illuminated by the Divine Spark in his soul. Third, the strength of his character, which is his ability to act in accord with his immanent consciousness and reason, overcoming the lesser urgings in himself, seeking consciousness rather than pleasure, knowledge rather than happiness, true progress rather than wealth. It is his ability to subordinate all the extraneous urgings, which are of the nature of sub-man and man, to the Creator’s Urge, which is the nature of higher man. Fourth, the physical constitution of his body, that it might serve well the One Purpose. Thus are strength and soundness and keen senses to be valued, for they make the body a better tool; and beauty, for it manifests man’s Divine nature and inspires his efforts to act in accord with the urgings of his race-soul. He shall keep his stock pure; he shall not permit his blood to mix with that of other stocks, for each stock follows a different course along the Path of Life. When stocks are mixed, the inner sense of direction is lost, and with it the potential for attaining Divine Consciousness. He shall increase the number of his stock, and he shall make every land wherein he dwells free of the danger of mixing with other stocks. He shall so arrange his laws and his institutions so that in each generation men and women shall engender numbers of offspring in proportion to their own value: the best shall engender the most, and the worst none. He shall guide the progress of his stock from generation to generation: He shall act as the wolf and the winter have acted, pruning and selecting; and he shall act as have all those forces of the Whole which changed the seed of his stock. And he shall do these things in full consciousness of his identity as the substance of the Creator and the agent of the Creator’s Purpose. EDITOR’S NOTE: On Society is the third and final essay in which William Pierce expresses the fundamentals of his philosophy, on which all of his political work was ultimately based. If you have not already done so, you should read The Path and On Living Things before beginning this piece. In prior articles in the series ‘Intimations of Cosmotheism’ on National Vanguard, I have shown that other writers and thinkers, including Charles Lindbergh and Sir Oswald Mosley, have expressed ideas parallel to those which Dr. Pierce brought to their fullest expression. Human social institutions, like all other things, are of the Whole, and they cannot be perfect while the Self-realization of the Whole remains incomplete. As men and all other things made by men they can only serve the One Purpose imperfectly. While men lack consciousness, their society reflects their blindness and their groping; its service fails; it even may become an instrument of retrogression, contravening the Creator’s Purpose. But when men are awakened, then their society should reflect their consciousness and their true reason; it should become an instrument of progress; it should manifest in its structure and in its institutions the Urge toward the One Purpose. How, then, should men who have been awakened constitute their society so that it may best serve the Creator’s Purpose? How should they govern their community, which is the Cosmotheist Community? What should be the forms and functions of their institutions? These four concerns of men — survival, right striving, order, and progress — are the proper determinants of human social institutions. Accordingly, society has four proper functions: defense of the Community and of the stock in which it is based; guidance of the striving of the Community’s members; organization of the Community for the maintenance of order and the effective pursuit of its Purpose; and elevation of the value of the Community’s stock. The Community defends itself and the stock in which it is based by providing collective means for countering the many dangers with which the individual man alone cannot contend. The Community must protect the purity and healthfulness of the air men breathe and the water they drink. It must concern itself with the quality of the food they eat. It must beware of every threat to the physical health and fitness of men, and it must have the means to prevent any man from poisoning the common air, water, or land, whether from greed, malice, negligence, or ignorance. The Community also must have the means to promote those factors in the lives of men which lead to sounder, stronger, and more beautiful bodies; to build health is to defend against illness. Vigilance against famine and disease, the conservation of common resources upon which the survival or welfare of the Community and its stock depends, and armed protection of the Community against those who would harm it are necessary elements of society’s defensive function. Likewise are those elements concerned with defense against the corruption of men’s spirits necessary, for survival depends not on the physical aspects of men’s lives alone: Just as the defense of the physical health and welfare of the Community is a proper social function, so is the defense of its spiritual health and welfare. Thus, it is proper that the Community use all needed means to exclude the purveyors of doctrines which would have men act against the Creator’s Purpose, and that it oppose diligently all influences which corrupt men’s spirits and turn them from the Path of Life. If a man teaches others that the mixing of stocks is permissible or that all men are of equal value or that human life has no purpose, then the Community shall make him an outlaw and drive him out. And, whether a man teaches falsehood or not, if his behavior or his manner of life is such as to lead others astray or to weaken the order of the Community, then he may not remain in the Community. For it is a proper function of society to safeguard the Community against indiscipline as much as against falsehood. The Community guides its members in their striving for knowledge, consciousness, discipline, and service by providing a social framework and social institutions within which each striver learns and grows and is shaped into an effective agent of the Creator’s Purpose. These support and direct him; they give him both necessity and means. Men’s knowledge comes not from their individual endeavors alone, but from the collective striving of the race over the endless course of generations. The Community must preserve the knowledge gained in each generation and make it the basis for further gain in the next generation; it must impart to the members of the Community knowledge gained by past generations; and it must facilitate the gain of new knowledge to be bequeathed to future generations. The Community must provide a framework, which encourages and rewards scholarship, and it must provide the institutions — the libraries, the schools, and the laboratories — within which scholars can seek knowledge effectively. The Community must concern itself with the imparting of knowledge outside of its schools as well as inside. The Community’s customs and practices, its celebrations and festivals, its songs and rituals, all the work and the play of its members should impart knowledge of identity, of mission, and of means. Above all else, the Community must give direction to the gain of knowledge; for it is not mere knowledge itself for which the members of the Community strive: it is knowledge which leads to understanding, knowledge which complements consciousness, knowledge which abets service of the One Purpose. The Community must ensure that the efforts of its knowledge-seekers are purposeful and coordinated; that every member remains aware of the Community’s direction and of its goal in his quest for knowledge, so that what he gains will be the gain of the Community. Those entrusted by the Community to supervise the guidance of its members, however, must ever be mindful that the path to knowledge takes many unexpected turns. The course of wisdom, therefore, is to avoid narrowness and to be ever ready to accept new ways to the goal, if they were better ways. Consciousness and discipline, like knowledge, are better acquired with guidance than without, and the Community also must provide this guidance through its institutions. Many of the same institutions which guide the members of the Community in their striving for knowledge also will guide the awakening of their consciousness and the building of their control over themselves. Schools must impart consciousness along with knowledge, and they must impart both in a manner which trains the awakening learners in self-mastery. Festivals and rituals, likewise, must raise consciousness, and they must demand self-discipline of the celebrants: in practice for song and recitation; in demonstration of grace, skill, and strength. The Community must glory in the self-mastery of its members and in their achievements, valuing these things so highly that all will strive mightily for them. Service, above all else, requires guidance, so that the service of each member of the Community complements and reinforces that of every other member. The Community itself is an instrument of service; the performance of service is its reason for existence, and its every institution must manifest that reason. The Community, therefore, must have order and structure: each member has his place in the Community, each place serves its purpose, and the purpose of every place is comprehended by the One Purpose. Each member of the Community serves according to his qualities: one in his way, and another in his — and it is good that there be many ways. But each way is guided; each member accepts the guidance of the Community in the performance of his service. The Community is not merely the sum of its members, its institutions, and its material assets; it is an organization, and its ability to perform its service depends upon the effective coordination of its components. Without order, by which is meant the placing of members in accordance with their qualities, the Community is incoherent, and it cannot progress. Without structure, by which is meant the body of rules defining the relationships between its members and governing its institutions, the Community has no strength, and it will fail. The qualities of men and women grow from within; but the growth of these qualities is ruled both from within and from without. The Community rules the growth from without, and it judges the qualities according to its standards. Some qualities are manifest even in an infant. These include beauty, strength, vigor, and fidelity to the physical norms of the stock. Other qualities — intelligence and disposition — show themselves in the growing child; and some become visible only in full maturity, when the mind and character of the man or woman have developed for many years and been proved in attainments and in service. The Community must judge all of these qualities, throughout the life of each member, and it must act on its judgment in such a way that the order in the Community best serves the Creator’s Purpose. It must judge the infant, and decide whether or not his future lies in the Community; it must judge the child, and train him according to his ability; and it must judge the adult, so that he is fitted to his task and to his station. In every society men are ranked, in high station or low: some by the criterion of wealth, some by age, some by the favor of the mob, some by the qualities of their friends or associates, some by their mental or physical skills. But the Community stands apart from other societies: its members attain their stations, and they ascend from one station to the next, according only to their value in the Community’s performance of its service. In every aspect of the Community’s service, those who are ranked high guide those who are ranked beneath them, and the latter return respect for guidance. Authority to guide is granted by the Community to those whose qualities, manifested in their prior attainments and service, provide assurance that the authority will serve well the Community’s purpose, and it is granted in a measure corresponding to the assurance provided. With each grant of authority, a corresponding degree of responsibility is imposed. And these are the four essential institutions of the Community: the family, the academy, the corps of guardians, and the hierarchy. The family is the institution by which the Community regenerates itself. For the Community the name of the institution has a special meaning. Others may call a man and a woman living together who are beyond the childbearing age a “family,” or they may use the name to designate an extended group, including grandparents and other related persons. But by “family” we mean a man and a woman united by the Community specifically for the purpose of engendering and nurturing children, and the children so engendered until they attain adulthood. Over each family so defined the Community exerts its authority: it judges the children of each family; it limits their number when that serves the Community’s purpose; and it sets the pattern for nurturing them. The Community does these things in order to ensure that the value of its stock will increase from generation to generation, and it charges each man and each woman who are united in a family to keep this purpose ever in mind and to govern themselves accordingly. The Community honors each man who is a father and each woman who is a mother, and the family in which the two are united, in a measure corresponding to the value of the children they engender; and this value is measured both by the qualities inherent in the children at their birth and by the development and strengthening of their qualities through proper nurture. The academy is the institution by which the Community educates its members, throughout their lives. In the academy the children of the Community receive a uniform grounding in language, history, music, and the other elements of their cultural heritage; they are made conscious of the spiritual basis of their existence and of the Cosmotheist Truth; and they begin the lifelong process of building will and character through discipline. In the academy the youth of the Community receive the training necessary to prepare them for their work in the Community, in accord with their qualities. And in the academy those adult members of the Community who serve it as scholars carry on their work. The corps of guardians is the institution by which the Community defends itself against its enemies, both within and without: against those who would harm any of the things upon which the life of the Community depends, both its physical life and its spiritual life. The men of the Community who are chosen to become guardians shall be trained and proven. They shall come only from among those ordained to a life of service to the One Purpose, and they shall be only of the best of those: of the most disciplined, the most conscious, and the most capable. They shall be the strong right arm of the Community, a sworn brotherhood of sentinels ever vigilant against the enemies of the Community. The hierarchy is the institution by which the Community orders itself, rules itself, and holds itself to its proper course along the Path of Life. The hierarchy is a community of priests within the Community; in structure it is a series of steps leading upward. When a man enters the first step, he is ordained to a life of service to the One Purpose. Thereafter he may be the father of a family, or a scholar in the academy, or a guardian, or a worker in another field of service to the Community, but he remains also a hierarch. As he advances in knowledge, in consciousness, in discipline, and in service, he is judged by those above him; and, according to their judgment, he may progress upward, from step to step, throughout his life. The hierarchy guides and judges. It shapes structures and makes or changes rules, when those things are needed; otherwise it preserves what it has made. It looks to the future, foresees the needs of the Community, and strives to fulfill those needs. Above all else, it keeps the Community moving ever upward: toward new knowledge, higher levels of consciousness, greater strength and discipline, more effective service of the Creator’s Purpose. The Community may have other institutions which serve its needs, but it must have these four: the family, by which it breeds and builds itself; the academy, by which it trains itself and grows in knowledge; the corps of guardians, by which it defends itself; and the hierarchy, by which it governs and guides itself. The Community progresses by traveling upward along the Path of Life from generation to generation: it elevates itself in both its physical and its spiritual aspects. It strives toward higher man by pruning and selecting the stock in which it is based. It orders its men and women according to their qualities, and, in the family, it combines and propagates those qualities that best serve its purpose. It ensures that the children born in each generation manifest those qualities more strongly than those of the preceding generation. The Community also elevates itself by awakening more fully in each member the immanent consciousness of the Whole and by building in him the discipline needed to render more effective service; through the family and the academy it does these things, and it strives always to do them better. And the Community elevates itself by refining and strengthening all of its institutions, by striving always to make them more nearly perfect: to make the family an institution able to engender children of higher quality and to nurture and train them more suitably in their earliest years; to make the academy a more effective institution for raising these children to conscious, disciplined, and knowledgeable adulthood; to make the corps of guardians a stronger and more vigilant institution for safeguarding the physical and spiritual welfare of the Community; and to make the hierarchy wiser, truer, and more effective in its guidance of the Community, with each passing year. Thus, the structure of the Community, the form of its institutions and the rules, which govern them, evolve, just as does the stock in which the Community is based. But they do not evolve blindly; they are guided with an ever-growing self-consciousness, with an ever-surer sense of direction along the Path of Life, with an ever brighter and clearer vision of the Godhood which is the destiny of the stock whose members follow the Path. What they really have is a plan or program for attaining certain personal goals they have convinced themselves are worthwhile. For example, a young man may have decided in his late teens that his goal in life is to have a career in a profession which will provide him with both stimulating activity and security, with social prestige, perhaps with a certain degree of independence or opportunity for travel, and with enough income to own all those things which are generally believed to be desirable: an expensive, late-model automobile or two; stylish clothes; a nice home in the suburbs or a fashionable condominium in the city; and, eventually, an attractive wife to give him pleasure and companionship and to evoke the admiration and envy of his peers. In order to achieve these goals he maps out a program: first get into the right college; then earn good enough grades for admission to law school or medical school or graduate school, as the case may be; then open a practice or find employment in congenial surroundings, where he can meet the sort of people who can help him with career advancement; and so on. There are many individual variations on this theme, of course. For some the principle goal may be to secure employment which allows the maximum amount of free time to pursue some cherished hobby, whether it be skiing or beekeeping. For a woman it may be the wholly admirable goal of bearing and raising four or five beautiful and healthy children, and her program might involve such things as diet-and-exercise regimens or vacations in areas of high bachelor density, in order to improve her chances of finding a desirable father for her anticipated children. There is nothing inherently wrong with most of these goals. They are the sorts of goals that normal, healthy men and women of our race have always had. And the people who have them today certainly seem to be in better moral and spiritual condition, on the average, than those with no goals at all, who live only for the day. We must also rate them above persons with the vapid, ill-defined goals one expects a teenaged beauty contestant or television game show contender to admit to, such as "helping others," or "finding true happiness." So why are so many of these best of our people, those with normal goals and sensible plans for achieving them, in a state of spiritual distress today? Why has their suicide rate skyrocketed in the last three decades? Why are alcohol and illegal drug abuse taking such a tool of them? Why are the brown-skinned swamis and slant-eyed messiahs who are peddling freaky, Asiatic cults among them doing such a land-office business? There are two answers to these questions, one fairly obvious and one a bit less so. First, most people's goals do not exist in a vacuum, but are dependent on the social and economic milieu in which the programs for achieving them are to be carried out. A man whose aim in life is to spend as much time skiing as possible or who lives only to complete his collection of Civil War regimental insignia may not be greatly concerned that the world is falling apart around him, but the perceptive man with a long-term career program and the intelligent woman with serious family plans certainly are. And the more perceptive, intelligent, and sensitive they are, the greater must be their concern. A personal goal which requires a large investment of effort and self-denial over a period of several years may be perfectly tenable in a stable society, but it becomes much less so in a society with a future as uncertain as ours has today. When people lose confidence in their ability to predict what the future holds for them, anxiety, inner turmoil, and even desperation rise right along with interest rates. These feelings may be repressed, even kept entirely below the level of conscious consideration, but they have their effect nevertheless. It is not just that carefully made plans must often be changed to meet changing circumstances, or that planning has become more complicated, with every career plan requiring two different contingency plans to go with it; for many people the entire framework within which they have built their plans has begun to crumble, as they are forced to question the feasibility or even the value of the only goals which are meaningful to them. Learning a craft or art which requires years of practice before it can be mastered certainly seems to be less justifiable in an era when society's appreciation of excellence -- and even the ability to recognize it -- is in decline, and when both technique and public taste are changing so rapidly that one may very well end up as master of an anachronism, unneeded and unesteemed. Even more corrosive of enthusiasm and ambition is the individual's loss of appreciation and esteem for the society in which he is living. Most people with goals in life have more than a purely egoistic motivation for achieving them. A writer, an artist, or a craftsman, may want to become a part of a cultural tradition which he reveres; a man in public life may aspire to being remembered as a contributor to the greatness of the nation; even the most mediocre careerist generally has some respect and affection for his chosen profession, for its immemorial usages and customs, for his more accomplished colleagues -- but much less so today than a generation ago, and undoubtedly even less so in the foreseeable future. As for the most important profession of all, motherhood, any intelligent young woman must have at least some misgivings today about devoting her whole heart and mind and body to the task of bearing sons and daughters to carry on a family tradition when they reach adulthood and bring pride and honor to their parents. Not only have such nondemocratic concepts as family tradition and family pride fallen into general disfavor, while motherhood itself has lost much of the honor formerly associated with it, but more and more prospective mothers are having qualms about bringing children into a world which seems to have such a bleak future. Misgivings about what the future holds seem to depend little on reason or ideology, with liberals and conservatives alike sharing them, but more on a generalized pessimism, which in many amounts to a gloomy foreboding, based on an instinctive or intuitive feeling that the world is badly out of kilter. In any event, every recent poll taken shows that the misgivings are very widely spread among the American public and are growing. And is it is not entirely proper that the pessimism should be rampant and that people should be filled with foreboding and should question their goals in such times as these? Would it not be a sign of a far worse sickness among our fellow citizens if the best of them were wholly oblivious to the ominous trends all around them and were able to pursue conventional goals with false certainly and baseless optimism? The race still retains a modicum of healthy instinct, and that is good. But it will be much better if some of those who are now questioning their goals will take the next step, which is to become conscious of the fact that, beyond the life of the individual and his personal ambition and goals, there is an all-encompassing Life, and that Life has a purpose, which is its own self-evolution. That is to say, no individual is complete in himself, but he is a part of a hierarchy of larger entities: his family, his nation, his race, the order Primates, and so on. The largest of these entities is the living universe of matter and spirit, of animate and inanimate Life. And the most fundamental process in the living universe is its evolution from the simple to the complex, from the inanimate to the animate, from the unconscious to the conscious, and from lower to higher levels of existence at each of these stages. This is the purpose of Life, and it can become the purpose of the life of the individual man or woman who becomes conscious of it and who coordinates his personal goals with it. This fundamental truth has been stated in many different ways by many different men of our race over the years. In 1913 an Oxford scholar, Allen G. Roper, wrote a prize essay on eugenics, in which he said it about as well as anyone has: "Organic evolution has changed our whole perspective. We see our wills as temporary manifestations of a greater Will: our sense of time and causation has opened out to the infinite, and we are learning to subordinate the individual lot to the destiny of the species." "This is our task: to make as meaningful as possible this life that has been bestowed upon us, this reality with which fate has surrounded us; to live in such a way that we can be proud of ourselves; to act in such a way that some part of us lives on." It is the poets, perhaps, who have sensed, even more surely than the men of science and the philosophers, the purposeful nature of the universe around them and of man's unity with that universe. The Roman Marcus Annaues Lucanus (39-65 AD), known to history as Lucan, was one of the first of these whose words have survived until our time, but we know that he only expressed what many before him had spoken and written. During his brief life Lucan wrote: "Is not God only the earth and sea and air and sky and virtue? Why further do we seek the deity? Whatever thou dost behold and whatever thou dost touch, that is Jupiter." More than 18 centuries later D.H. Lawrence (1885-1930), the English novelist, essayist, and poet, wrote: "We and the cosmos are one. The cosmos is a vast living body, of which we are still parts. The sun is a great heart whose tremors run through our smallest veins. The moon is a great gleaming nerve center from which we quiver forever." The same feeling was expressed over and over again by the Romantic poets, of whom William Wordsworth (1770-1850) was one of the most eloquent: "...And I have felt/A presence that disturbs me with the joy/Of elevated thoughts; a sense sublime/Of something far more deeply interfused,/Whose dwelling is the light of setting suns,/And the round ocean and the living air,/And the blue sky, and in the mind of man:/A motion and a spirit, that impels/All thinking things, all objects of all thought,/And rolls through all things..."
The great German poet Johann Wolfgang von Goethe (1749-1832) wrote: "When in the sphere of the Moral, through belief in God, Virtue, and Immortality, we do indeed raise ourselves into a higher sphere where it is granted to us to approach the primordial Essence, so may it be in the sphere of the Intellectual, that through the perception of an ever-creating Nature we make ourselves worthy for a spiritual participation in her productions." George Bernard Shaw (1856-1950), the greatest British playwright since William Shakespeare, spelled out with especial clarity the message that this "participation in her productions" is the only proper role in life for the best men and women. The only thing which makes life meaningful for those exceptional few who have risen above a purely mechanical, unconscious, and animalistic existence, he pointed out, is the conscious service of the Life Force, as he called it: that all-pervading "primordial Essence," to use Goethe's words, that "deeply interfused...motion and spirit" which not only evoked Wordsworth's poetry and which impels the universe, but which eternally strives toward its own self-realization through the attainment of higher and higher forms of life, higher and higher levels of consciousness. To Shaw being fully a man meant transcending all those personal goals of happiness, success, and security sought so feverishly by others; it meant, he said in the preface of Man and Superman, being conscious of living and acting as a "force of Nature," of "being used for a purpose recognized by yourself as a mighty one": namely, for the purpose of advancing the race the next step along the path to Superman. The man who, more than anyone else, devoted his life to the enunciation of this single message was the great German teacher Friedrich Nietzsche (1844-1900). In his Ecce Homo he wrote: "My life task is to prepare for humanity a moment of supreme self-consciousness, a Great Noontide when it will gaze both backward and foreward, when it will...for the first time pose the question of Why and Wherefore of humanity as a whole." A hundred generations, or a thousand, might be required for the crossing of the abyss and the coming of the Great Noontide (assuming that we do not end up at the bottom of the abyss long before that), but the going-across is something which is underway now. It is something in which the partly conscious few, the best men and women of our race, can participate now, can make the purpose of their lives now. And if this era of uncertainty and disillusionment and pessimism, in which so many are questioning the meaning of their goals in life, sees more of these best of our race finding their way to a real purpose, to the only truly meaningful purpose, then everything is to the good. It should be repeated, however: purpose in life is only for the few. The best that can be expected of most men and women is that they hold to personal goals which keep them socially responsible by giving them a stake in the future. As the disintegration of the society around them becomes more apparent, an increasing number of them are abandoning long-term goals and seeking immediate rather than deferred gratification -- and this is accelerating the pace of disintegration. But here and there are those who, jarred loose by today's chaotic conditions from the conventional pursuit of happiness, will not simply grasp for some quicker and surer gratification, as predictably as a rat in a Skinner box or the average voter in a democracy. They will examine their souls and realize, perhaps with surprise, that for them pain and pleasure are not the ultimate determinants of the value of their lives; that what is of immensely greater importance is meaning; and that the finite life of the individual man or woman can acquire true meaning only when it partakes in the Infinite, only when it becomes a conscious part of the Whole. Then for those growing few purpose supplants purposelessness, and personal goals acquire an absolute significance by being coordinated with the everlasting goals of higher life and higher consciousness. The young man with career plans still must study diligently and work hard, choosing each step with care. Schooling, job performance, and personal contacts are still just as important. And money, prestige, and other amenities may still be concomitants of career activity beyond a certain stage of achievement. But no longer are these things the goal; they are in themselves a matter of indifference, and are valued only for their utility. The career goal itself has now become the use of the training, influence, resources, and capabilities acquired through the career in the service of Life. The young woman with family plans still must concern herself with her health and attractiveness, and the search for the right mate becomes even more demanding than before: now she is looking not only for a companion, protector, and provider to become the father of her children, but also, more than anything else, for the bearer of the right genes to be mixed with hers and carried forward into the next generation. She still has joy in her role as mother and teacher, but it is no longer a role entered into -- as by so many women today -- in order to endulge herself in the "experience of motherhood." And no longer are children regarded as an interesting new hobby, or as an outlet for frustrated affection, to be petted, pampered, and adored, like precious playthings. They are her contribution to Life, and it is their biological quality and the qualities of character which she is able to reinforce in them through early training, not their emotional relationship with her, which have become supremely important. The particular way in which a man or woman renders his service to Life must depend, of course, not only on the particular capabilities, inclinations, and circumstances of the individual, but also on the physical and spiritual milieu in which he finds himself. In this era of self-indulgence and egoism some will have the desire to live purposefully, but they will not have the strength to overcome fully a lifetime of bad habits and decadence; their service will necessarily be sporadic. Others may be able to serve steadfastly by themselves, making solitary contributions which advance the purpose for which they live. More, especially in these times, will find their service -- whether it be physical combat against the agents of decay or participation in an educational effort or the breeding of the next generation -- far more effective as members of a community of consciousness, serving side by side with others who share their purpose. However they serve, this growing few men and women of purpose, they are blessed with the certainty that, unlike the billions who live and die with no more sense of identity or mission than sheep or cattle, their lives have meaning; that they do not live and dream and struggle and suffer in vain; that their existence counts for something: for it is their consciousness and their purpose which will determine the form and the spirit of the new order which will one day rise on this earth, and it is their descendants who will take the next step within that new order toward the Superman. t seems to me more than just a coincidence that all of these great thinkers began with White racialism, and ended up with (non-Christian) Aryan spiritual renewal as their goal. It seems highly significant that so many who become active in the racialist cause finally feel more or less compelled to search for a spiritual foundation upon which to solidly ground their beliefs and ultimately their entire approach to life. Cosmotheism, the Church of the Creator, Christian Identity, Norse paganism . . . the list could be extended. One extension that should be briefly examined, if only because it is so startling and counterintuitive, is the deification of Adolf Hitler. Savitri Devi was of this school—and it was Pierce who reprinted her The Lightning and the Sun in Issue No. 1 (Spring 1966) of George Lincoln Rockwell’s intellectual journal, National Socialist World, of which he was editor. He observed that “Adolf Hitler started literally from nothing and through the exercise of a superhuman will created the physical basis for the realization of his vision.” This same philosophical idealism—semi-miraculous materialization or creation out of mind and spirit—is captured in the title of Leni Riefenstahl’s famous film The Triumph of the Will. Rockwell biographer William Schmaltz describes religious ceremonies involving photos of Hitler, the National Socialist flag, candles, and related paraphernalia, and in his Rockwell booklet Pierce mentions a series of intense dreams Rockwell experienced “nearly every night for a period of several weeks” while working as an advertising salesman in Atlanta during the winter of 1957-58. In each of them he was ushered into a small room in which Adolf Hitler was waiting, alone. The moment they met, the dreams ended. “Always a skeptic where the supernatural was concerned,” Pierce writes, “he was certainly not a man easily influenced by omens. But there can be no doubt that he attached special significance” to the dreams. “One can most easily interpret these dreams as a case of autosuggestion,” Pierce continues, “but in the light of later developments Rockwell considered them as a symbolic summons, a beckoning onto the path for which he was then still groping.” Rockwell never wrote about the dreams and related them to only a few people. Hitler deification has been perpetuated to the present by Matt Koehl and the Wisconsin-based New Order. Koehl was formerly a top Rockwell lieutenant. It is quite interesting to examine their material from the religious point of view. In Pierce’s account, it was the snide, genocidal hatred expressed by brainwashed white kids and a Jewish boy that provoked his own search for first principles. In the last-mentioned chapter, Pierce describes how the Cosmotheist Community (later the Cosmotheist Community Church) evolved out of Sunday night lectures he gave in Arlington, Virginia in the early 1970s. So he split the group up.